What's The Best Kind of History? Happy Mother's Day! Because your mother loves you and wants the best for you, she wants you to read more books and then talk about them. 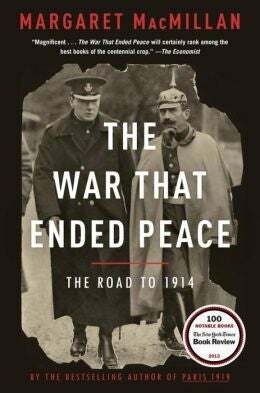 I finished two great but antithetical books this weekend: Oxford historian Margaret MacMillan's The War That Ended Peace, a history of the causes of WWI, and astrophysicist John Gribbin's The Scientists, a history of the past four hundred years in science. It got me thinking (also something your mom wishes you'd do more of): what is the best kind of history? I don't mean of use, because all history is useful and both books teach very important lessons. I mean what do we mean when we talk about human history? What do we teach in schools? The War that Ended Peace is a pretty comprehensive forensic anatomy of folly. WWI isn't that simple. It's not "Madman takes over Europe" simple. It's complicated—there were many causes all joining together like puzzle pieces forming Hell. Taking apart those causes reveals strands of human history, culture, philosophy that are still with us today. For one thing, we still have high militarism, especially on the US variety. We have childish, rash leaders like Germany's Willhelm II in the ruler of North Korea—and some would say in our last President. We have a system of alliances, not as rigid and pronounced as in the beginning of the 20rh century, but still there. And we have geopolitical and nationalistic conflicts. Replace Bosnia with Ukraine. The lesson is that such an event as the Great War could happen again if we don't learn from history. Now for something completely different, or at least much more cheerful—the history of science. 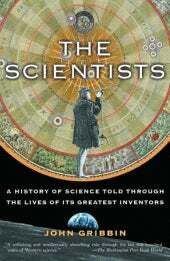 Gribbin's book has a clever premise: instead of going weeds in describing the science, he sketches out the biographies of the worlds famous and little known scientists that came up with it. He follows the axiom that information is best taught through a narrative, a story. But this is also an inspirational book, saying that the people who we think of as geniuses came from any and all backgrounds, like the rest of us, and had problems, like the rest of us. Gribbin rejects the idea of a "Eureka moment" that is a pop culture trope for science. He rejects the idea of scientific revolutions. He says that the great scientists didn't think in a whole new way, but that their work built upon other work from other people, and that all scientific advancements have taken a village, from the present to the past. So even if you, the person reading this book, aren't a genius, that's okay. You can still be a good scientist. What kind of history from the above do you prefer? If you are a Hamlet, you'll like the WWI book of follies. If you are, dunno, Ronald Reagan, you'll love the spirit of human achievement that enabled us to know the laws of the universe. The idea of history doesn't get starker than those two choices. In school we learn mostly about political history—significant world events; our own nation's major events; the dates of big battles. This is all fine and necessary but we don't really learn the most attractive history, the pitch history would make to the movie studios justifying its own learning. I would say scientific history would be that pitch. It's not only wildly positive but puts man at the center. Sure, any idiot can start a war but the discovery of the Big Bang from observations and man made technology is wondrous. For others, that pitch could be the working class people that weren't kings and presidents changing the course of human events. Or how great women changed the world. Or a history of the movies. What I'm saying is that our public school education about the subject might be a little off. Sure it's important to know presidents and such (you should know at least who the current VP is), but that's not all there is to the subject, and making students who aren't inclined to read think so brings on the stereotype that history is boring, dull, not relevant to my life. Instead of that, how about packaging the field containing life itself—all the kinds of the human experience plus all of the natural world—in exciting stories? I'd be eager to learn that.